Silk'n Hair Removal Device is an FDA-Cleared, hair removal device that has been proven to achieve, excellent, professional-level results in the comfort of your home. The Silkn home device has been shown to achieve 50% hair reduction in the legs, underarms, arms, and bikini line after only 4-6 hair removal sessions with Silk'n. The Silk'n device has been tested by top dermatologists and plastics surgeons who concluded that Silk'n can be used safely, easily, and effectively in a typical home environment. Convenience & Privacy At Home: Silk'n can be used anywhere, whenever you want, and in your complete privacy by yourself. Proven Clinical Results: Women who participated in clinical trials report excellent, professional-level results after only 4-6 hair removing sessions with Silk'n. In clinical studies, Silk'n achieved an average hair reduction of 50% following three months of bi-monthly treatment sessions. Top plastic surgeons and dermatologists found Silk'n able to achieve strong results. Safe With Minimal Discomfort: When used according to instructions, Silk'n treatments are safe with minimal discomfort compared to professional laser treatments or waxing. Saves You Money: Using Silk'n will save you money compared to extended use of professional laser treatments in spas, waxing, or shaving. Easy to Use: Silk'n is easy to set up and operate by yourself, and treating yourself is simple, quick, and clean. Silk'n operates with a surprisingly low and extremely safe level of light energy. In clinical trials, Home Pulsed Light (HPL) technology effectively removed unwanted hair on the majority of participants. In consumer tests users of HPL technology in Silk'n found it safe and easy to use in the privacy of their own home. Silk'n is incredibly effective and safe. The applicator tip of Silk'n has been designed so that a light pulse can only be emitted when the applicator is in contact with the skin. This eliminates the possibility of an accidental flash of light directly towards a user's eyes. Silk'n also uses a very low but effective level of energy, up to 5 joules per square centimeter. Compare this to other home use lasers that often use more than 20 joules of energy. 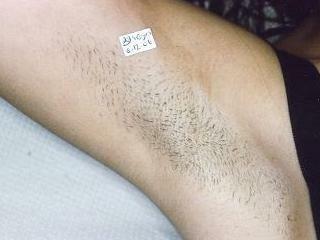 The process of laser and light-based hair removal is well known and established. It has been proven in clinical use around the world for over 15 years as a safe and effective way to achieve long-term hair reduction. The patented Home Pulsed Light technology (HPL) of Silk'n is a new and innovative light energy technology combined with unique acoustic effect, designed exclusively for carrying out safe and effective removal of unwanted hair at home. The scientists and engineers behind HPL technology all have an extensive and successful history in the laser and light-based aesthetic industry, having previously developed products for major companies such as Syneron, Sharplan, Laser Industries and Lumenis, as well as others in the aesthetics industry. In clinical trials HPL technology effectively removed unwanted hair on the majority of participants. In consumer tests users of HPL technology in Silk'n found it safe and easy to use in the privacy of their own home. "After supporting the development of leading professional IPL and laser systems for hair removal, and using them in my clinic for many years, I introduced Silk'n to my patients. After 4 to 6 treatments with the Silk'n device they were extremely satisfied to see dramatic hair reduction." Do not use Silk'n on naturally dark skin complexion! Silk’n SensEpil devices are FDA approved for hair removal at home. These devices are safe and efficient and can provide professional hair removal results at a fraction of the cost. Silk’n SensEpil uses laser and light energy to disable hair growth leading to permanent hair removal. Home Pulsed Light or HPL technology is used in Silk’n SensEpil to enhance energy absorption. To maximize hair removal results, use pre and post hair removal products, allow the hair you want to remove to grow out, move to high energy levels once you tested the low energy levels, and use it every two weeks for the first three to four treatments until you see results, then you can start using it monthly. After using Silk’n, avoid prolonged exposure of treated area to the sun and use sunscreens that is SPF 50 or higher. The Silk’n SensEpil device is not effective on naturally white, grey, blond and red body hair. If your body is of these colors, Silk’n SensEpil will not work on you. At Makemeheal, you can find Silk’n SensEpil hair removal home devices, replacement lamp cartridges for hair removal devices, hydramist, moisturizers and serums for post hair removal, and pre treatment cleansers.